As a hotelier, nothing is more important than the safety of your staff and guests. Paul Sweeting is a Technical Director with Bradbury Group, who specialise in manufacturing security and fire doors. Here, he shares the essential fire prevention precautions that all hotels should have in place. All hotels — from small bed and breakfasts, to big corporate chains catering to hundreds of guests — must have a proper fire safety procedure in place. For hoteliers, this means carrying out a thorough risk assessment, installing the right equipment, and ensuring that everyone knows what to do in the event of a fire. If you own or manage a hotel, then it’s essential that you have the right protocols in place: in fact, it’s your legal duty to protect your staff and guests by limiting the risk of fire (Firesafe). Preventative measures are there for reason — they can even mean the difference between life and death. 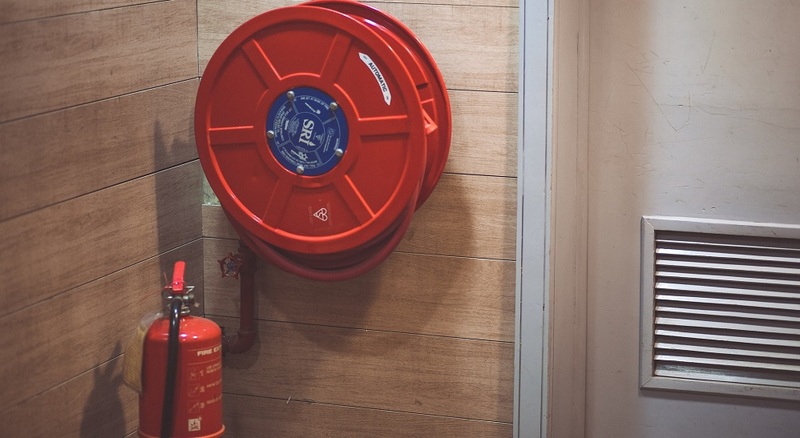 That’s why I’ve compiled an introductory guide to fire safety standards, protocols, and equipment, so you can be sure that your hotel is up to standard. Just read on to learn the four essential steps that all hoteliers should follow to keep their staff and guests safe. The first step for any hotel is to undergo a thorough fire risk assessment. In your risk assessment, you will need to identify anything that could potentially start a fire, and consider what level of risk they present. For example, a kitchen would usually be considered a high-risk area, as would a laundry room containing tumble driers. Your risk assessment should include any potential hazards in guest bedrooms, such as faulty electrical appliances. Once you’ve considered all the potential fire hazards in your establishment, you will also need to identify any individuals who might be particularly vulnerable during a fire. Guests will need to be your priority, as they tend to be unfamiliar with the layout of the building, and they may be asleep when the fire starts. Special attention should be given to disabled guests, or those with young children, who may struggle to evacuate quickly. Once you’ve identified each potential hazard, you’ll need to establish a plan to help reduce (or even eliminate) that risk, and consider ways to protect at-risk individuals should it occur. There should be an evacuation plan for every room in your hotel. If your hotel is small and has a simple layout, then it’s probably best to evacuate everyone simultaneously. For bigger hotels which house a large number of guests, it’s best to evacuate the building in stages, starting with the areas in the immediate vicinity of the fire. For example, in a hotel with multiple floors, the floor where the fire breaks out and those above it should be evacuated first, before moving on to other areas of the hotel. To be properly effective, your plan must feature multiple exit routes, so that everyone can safely evacuate the building even if one of the exits is obstructed or damaged by fire. Escape routes should be clear and easy to understand, with a map or other visual focus rather than lots text. Once you have drawn up an exit plan for each room, you will need to ensure that they are clearly displayed. Many establishments choose to position theirs on the back of the door, or next to it, so the guest will see it as they exit the room. One of the most important aspects of any fire safety protocol is ensuring your hotel is fitted with a fire detection system. Your alarm system should continue to function in the event of a fire, so fire alarm units should be powered by both mains electricity and an internal battery, as this will provide the most reliable protection. You should also supply basic firefighting equipment in high-risk areas: SafetyBuyer stocks a range of extinguishers, fire blankets and hose reels, which can help to contain small fires before they spread. All escape routes should feature emergency lighting and signage to direct guests towards the nearest exit. These signs need to be clearly visible, even during a power cut, so look for those which can use an alternative power source or battery. Your fire escape doors should be indicated by lit signage, and should never be locked, blocked or otherwise obscured from the outside. As your fire escape doors will also need to function as an exterior door leading onto public areas, they should be secure enough to protect your hotel from break-ins. These sturdy fire exit doors from Bradbury Group feature reinforced hinges for extra security, meaning they provide excellent protection against break-ins, and they can be made to measure to suit your building. Now you have a clear evacuation plan in place, you’ll need to make sure your staff know exactly what to do when the alarm sounds. Familiarise your staff with the potential fire hazards as outlined in your risk assessment, and train them to spot and report any issues that could be hazardous. For instance, housekeeping staff should be trained to keep emergency escape routes clear at all times. Everyone, including part-time or temporary staff, will also need to be familiar with escape routes and exits. As part of your fire safety protocol, you’ll need to appoint and train a designated fire warden. In the event of an evacuation, it’s the job of the fire warden to establish which guests and staff members are safely accounted for, so that fire rescue services can establish who’s still in the building, and where they are. So, it’s important that a fire warden keeps an updated copy of the guest list with them while on duty. How many wardens your hotel needs will depend on the size and complexity of your establishment but, as a rule, you should have one warden per floor on every shift. This guide from Veteran Fire Safety will tell you more about the role and responsibilities expected of a fire warden, including what training they will need to undertake. Fire can cost lives, so whatever the size of your hotel, it’s essential that to have a comprehensive fire safety plan in place. You should also remember that while this guide provides a short introduction to fire safety practices, it’s by no means an exhaustive list of everything you’ll need to do to comply with fire safety regulations, so visit the government portal to learn more.